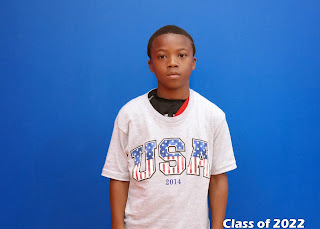 BASKETBALL SPOTLIGHT NEWS: Basketball Spotlight Feature: Jones Joins Future Phenom Camp Movement! Basketball Spotlight Feature: Jones Joins Future Phenom Camp Movement! Sean Jones has all of the tools that coaches love to see in point guards. He has great strength and size for a point guard. Despite being powerfully-built, he has the quickness to penetrate past defenders and get to the rim. He also shoots the ball well, extending out to the three-point line. Quickness personified with the ball in his hands he can give you anything you want as he is a complete players. You need scoring he can operate as a scoring guard, as a stopper he can shut down the other team’s best guard, as a lead he will run your show and get his teammates involved. Bottom-line Jones’ game even at the level translates to any level already – he will continue to excel and be considered a top prospect in the country – flat out and period. Jones is from Ohio and plays for All-Ohio Red who is a contender for the 2013 national championship. Without question Jones is one of the top players in the country in his class; having proved it on the biggest stages previously. Jones maintains a roster spot on the USA National Select team which is reserved for only the very best and talent. Jones will be in attendance August 23rd & 24th at Basketball Spotlight Future Phenom Camp in Maryland securing his position on the national boards across the country; to be the best you have to compete against the best, Jones is that player you must see and play against and this will be your chance.